The weather changed. I stayed in today. Well, that was because we were shooting in the studio. When I was out walking and shooting yesterday the weather was perfect. Until it wasn't. 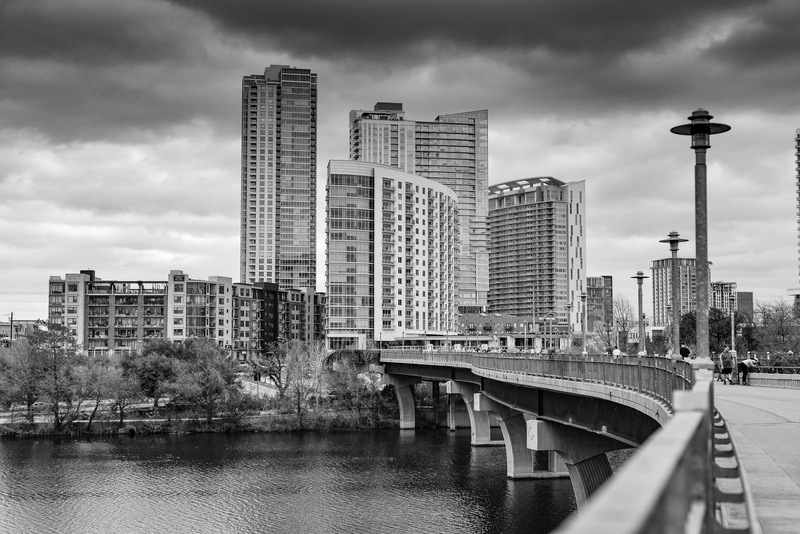 The clouds started rolling in as I walked back over the pedestrian bridge away from downtown. The video shoot that had been working on the bridge was wrapping up and the models and production people were doing the mandatory selfie coda to the whole thing. By the time I got back to my car and headed toward home the wind was starting to pick up and the temperature started dropping. Around one in the morning it got crazy windy and we got a jumbo drop sized, dramatic, inch or two of rain that swirled around and seemed to bang at every window. This morning was windy and cool.